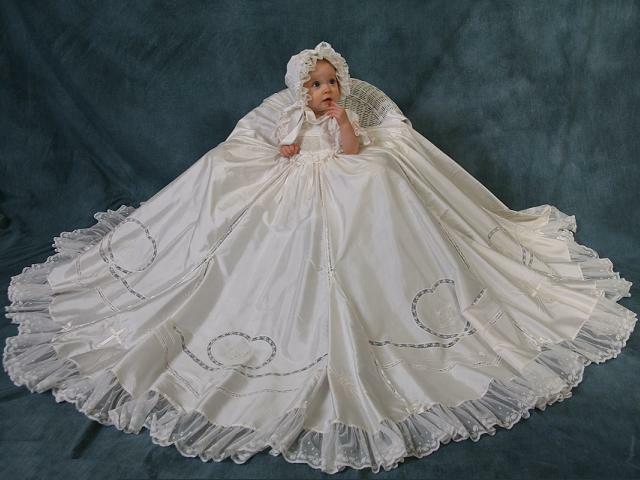 Marianne created the most beautiful Irish christening gown for my first grandchild in a short window of time and it was everything I could have wished. 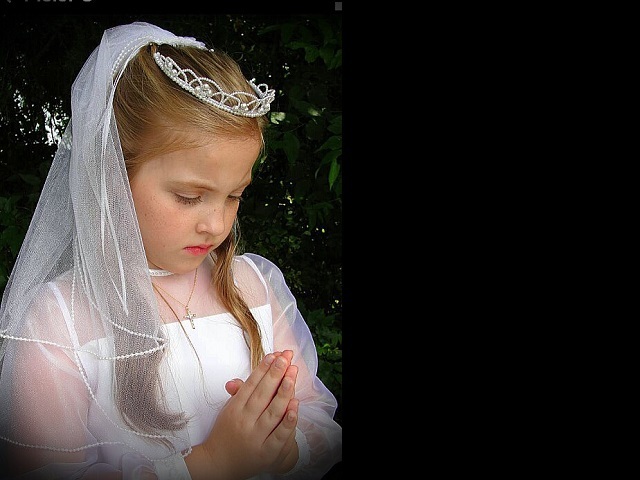 My husband, who loved being Irish, passed away when my sons were teenagers and special events like weddings and christenings are bittersweet. 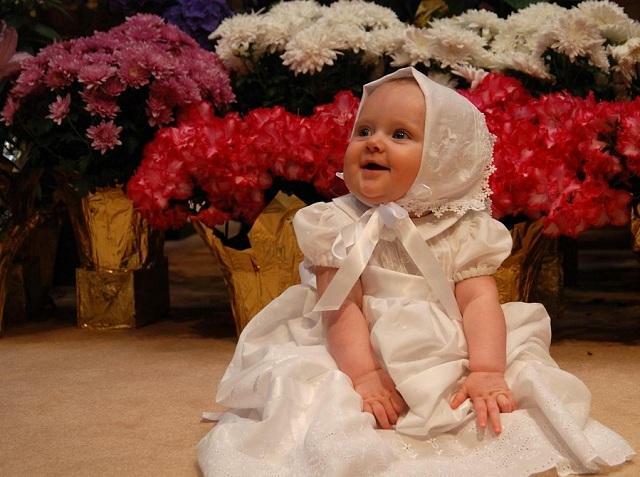 Having this beautiful Irish christening gown was a way to include him in the ceremony and create a new family tradition. It made our day more special. 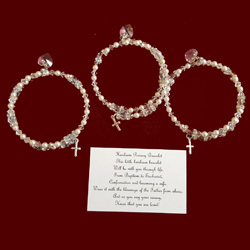 Anyone buying from Marianne would never be disappointed! 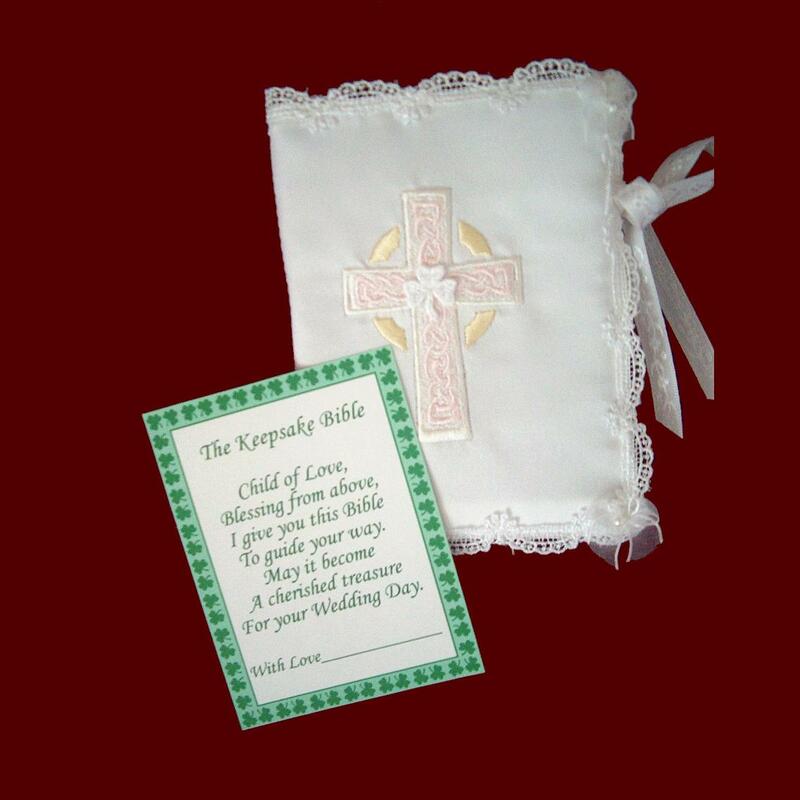 Great gift for new baby, christening or communion, this St. Joseph Edition of the New Testament of the New American Bible (Catholic version) is pocket size (approximately 3" x 5") and has an embroidered Celtic cross with tiny shamrock appliques. Cover is removable for easier washings and is trimmed in scalloped Venice lace around the outside edges and ties with satin ribbon. 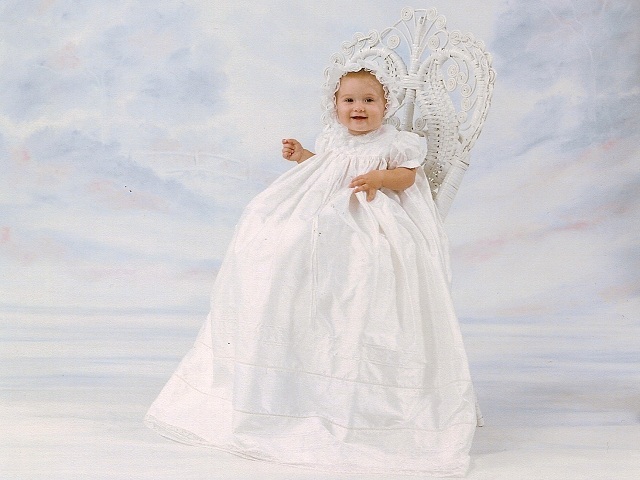 Available in shantung, satin, silk dupione, cotton batiste, linen batiste and Irish linen (shown) in white or ivory. Comes gift boxed in a clear top box with organdy ribbon & poem. 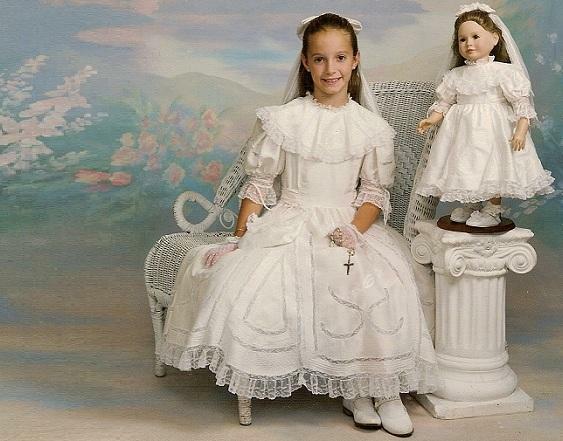 Embroidery can be all white, all ivory or with pale pink accents (shown). **New embroidered cross designs are now available. 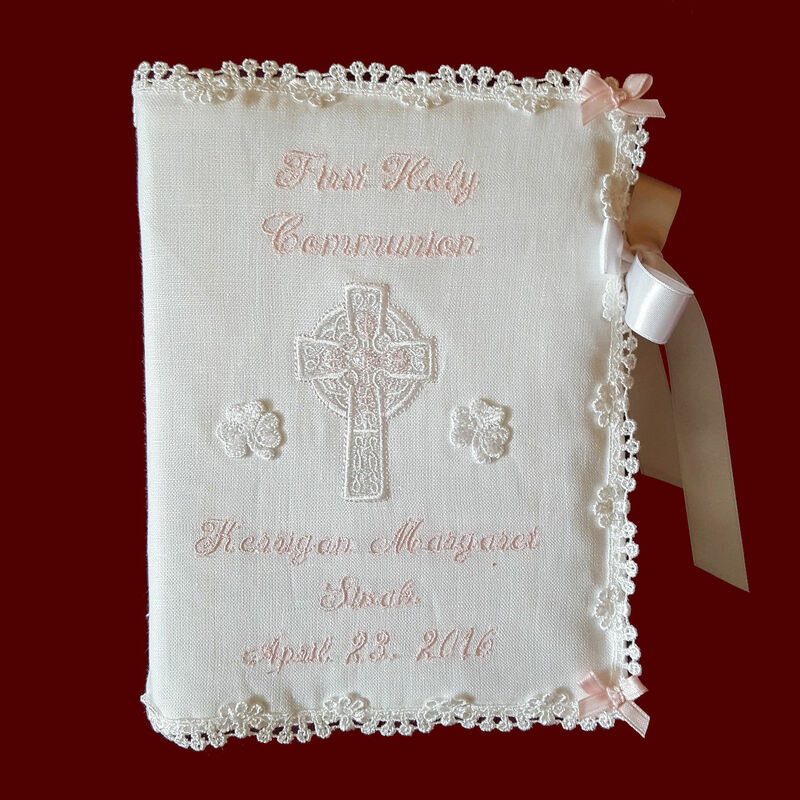 Can be personalized with name & date underneath the cross & optional "First Holy Communion" above the cross.